People with disabilities face multiple barriers to earning an income and gaining economic independence. The Inclusion Strategy of the Tonga Skills program, funded by Australia in Tonga, focusses on a twin-track approach to assist people with disabilities gain new skills, improve productivity and access new markets. With assistance from the program’s Skills Development Fund residents at the Alonga Centre Tonga in Pea completed a jewellery skills training program. 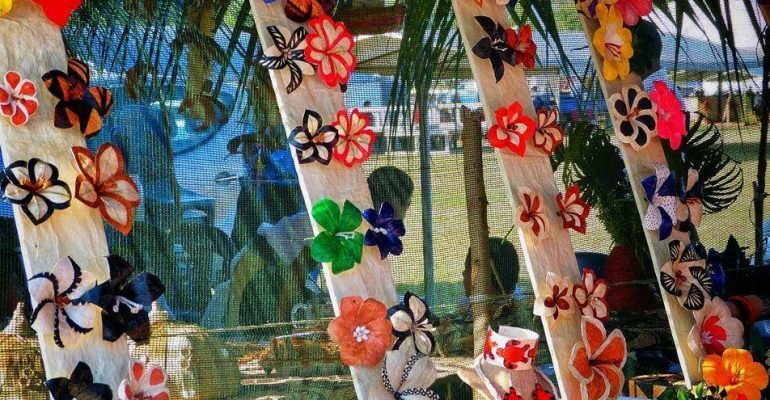 Through a collaboration with the Ministry of Commerce, Consumer, Trade, Innovation & Labour and local tourism operators, the Alonga jewellers now have a stall at the cruise ship handicraft market at Vuna Wharf free of charge where they can sell their products on cruise ship days and earn income for greater economic independence. Tonga Skills is supported by the Australian Government, managed by Scope Global. Tonga Skills is managed by Scope Global.